You found us somehow. A friend of yours from twitter, facebook etc, shared a link. PLEASE get back with that person. We want to reward them for finding you. 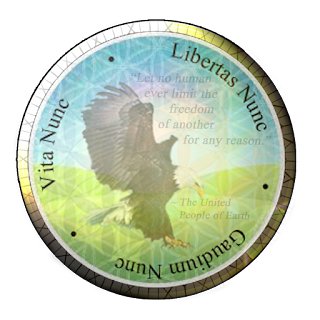 If you absolutely cannot find the person who originally is responsible for you being here, then you may choose a member at random from the ☺ New Members roster and join the freedom network through them. Visit their profile then copy their dogecoin address: it is the only way you can join. Otherwise your application will be denied. Do YOU need a dogecoin wallet? Click here. Signup ONLY if you have your sponsor's Dogecoin address! Why sign up with the Freedom Network? It is imperative that all citizens of earth register to collect their fair share of the universal citizen's dividend. For far too long, corrupt banks have created money out of thin air, then lent it to the people at interest. This is usury. The people never did wish to allow usury, but their governments do not represent the people's will. Thus, King Tyler VVS, founder of the freedom network, has stepped forward to represent the people. The King has declared that from now on all new money created will be given equally to all citizens of earth. The Freedom Network will forever pay this inverse tax to citizens via the efficient, practical and economical use of Bitcoin and other top trending crypto currencies of the times. Collect one purple Go-Share from us today! This will establish your first portion of the universal citizen's dividend! You pay nothing to join and within 24 to 48 hours you will begin receiving a free crypto coin income. No government or bank institution in the world has complete jurisdiction over the internet or over the King, therefore your financial future is safe and secure. Unlike corrupt bank or paypal accounts, crypto-coin wallets are un-freezable... Your funds are forever yours for you to use freely. Albert Einstein said simplicity is the ultimate sophistication. Many thinkers of the modern era have declared social media to be the absolute biggest time waster of all time. However, one cannot ignore the benefits of being able to connect with others instantly across any distance to share important information. The problem is that 99% of the information shared on social media is irrelevant to your needs. In order to solve the common problems of information overload and the dwindling attention spans incurred by use of these networks, a new, simpler social network was created. The entire focus of our social network is action, rather than distraction. Action towards what? Societal progress. The evolution of earth and the human species as a whole. And no more fake news, ponzi schemes or snake oil products being allowed to be promoted amongst the people. Unlike other social networks where you are forced to conform your entire profile within their constricting code, freedom network literally gives you a limitless gateway for your profile known to programmers as an iframe. Through our network, you can display almost any website or blog, or populate your profile with data from ANY pre-existing social network profile of your choice. Now users can chat directly with you while looking at your website through freedom network. Gone were the days of a customizable myspace profile with cute colors and autoplay music that reflects your soul... but now those days are BACK and better than ever with freedom network profiles where the sky is the limit and getting paid to socialize is now the name of the game! 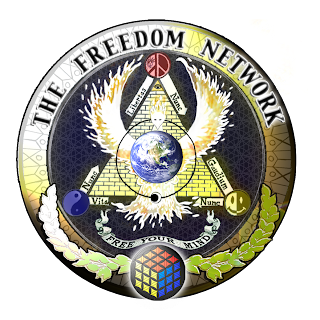 Freedom Network is FREE to join. Why? I DECREE! For many reasons! Number one, to mimic God, you see. There is no cost, for us to BE. And it was all given to us for free. and of course, they raised us to be free too, don't you see. and we do not charge them a service or fee. No we do it out of love and with glee. Yes, infinite love is free. Like the infinite oceans of nature and time, very free. Trapped no more, now you should be. And freedom too, should be free. Governments owned by a false god, the Devil, the Doers of EVIL, they prey upon the people. In the year 2000 and beyond, human sacrifice is still a practice. If you take the word WAR and spell it backwards, you get the word RAW. Thats what the people are to them, raw meat. Raw meat for the war machine. Sacrifice, perpetual war for any made up reason... and if not, slavery! All of it built by the big bullying banks owned by the great deceiver. The big bad bronze bully has the people worshipping it, slaving for it, doing its bidding. Worse yet, people are further enslaved and entrapped by the resulting bad health, depression and sadness they experience. A double whammy of misfortune befalls us all. The Truth About Banking: It is the ENEMY of the people! Corrupt banks create money out of thin air and lend it to the people at interest. You know this is true. Banks literally print dollars whenever they need to, and can type numbers to create credit out of thin air at will. The money comes into existence, and lands immediately in the hands of the banks that created the money. However if the money were created and then given to the people, for free, the money would still have value. It would still have value for the same reason the water of the ocean and the air of the atmosphere always have value to us despite their relative infiniteness. Compared to us, the ocean and the sky is infinite... yet every tiny piece still remains valuable. It may be easy to create fire or dig up earth, but just because it is easy does not mean it is any less valuable or essential to life. Air and water may be free, but if you use what you have you will always have to go get more. Just the same, if you are given a living wage, once you spend it you will have to provide value to someone else in order to earn it back. Thinking that you have to let a bank or government be in charge of creating this money in order for it to have value is insanity. The people, or computers, or nature can be in charge of creating money. In fact, this is how it should be. It is time to take the money from behind the prison bars of the banks and instead set the money free. The solution to the ailing economy is simple. FREE THE MONEY. Do you pay for the blood given unto you at birth? NO. Money is the blood of the economy, and the people are the body. The people should not be charged interest for owning or using money. You are not charged or taxed for the blood that courses through your veins. Something leeching your blood would be viewed as a parasite and cast away. As you can see, it is time this great big money parasite be removed from our society. And now, like the fruits of the earth, everyones money will grow and rein free. From now on, when new money is created, it will NOT be given directly to banks who then lend it at interest. This is usury, and from now on usury will not be allowed. From now on, money will be created and then immediately given unto all citizens of earth. An equal and fair measure will be given to all. EVERYONE will be given a basic income, and THEN (of course) extra rewards will be given to those who work extra hard at improving society or merely the living conditions of someone in need. Begin collecting your share of this revenue immediately. Together, let's heal our broken society and fulfill the freedom network dream. Start collaborating with everyone across the globe. Please report to the person who welcomed you here as soon as you finish creating your account.